I mean, wow. I MEAN, WOW'S! 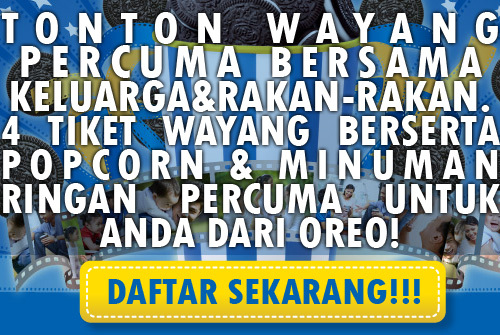 WITH AN S.
Terima kasih dari OREO. Selamat hari bapa. Tiket wayang free untuk anda. Don't let your brains get too comfy. Breathe life into your ideas with a RM50,000 grant from #IPCC13.